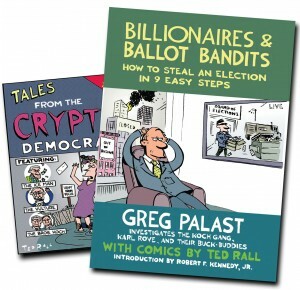 Tune in this Sunday when my guest will be Greg Palast, investigative journalist and best-selling author of “Billionaires & Ballot Bandits – How to Steal an Election in 9 Easy Steps”. First hour with Johnny Argent, then Second Hour Me. Listen live every Sunday or download previous episodes Roseanne’s Podcast on KCAA Radio.